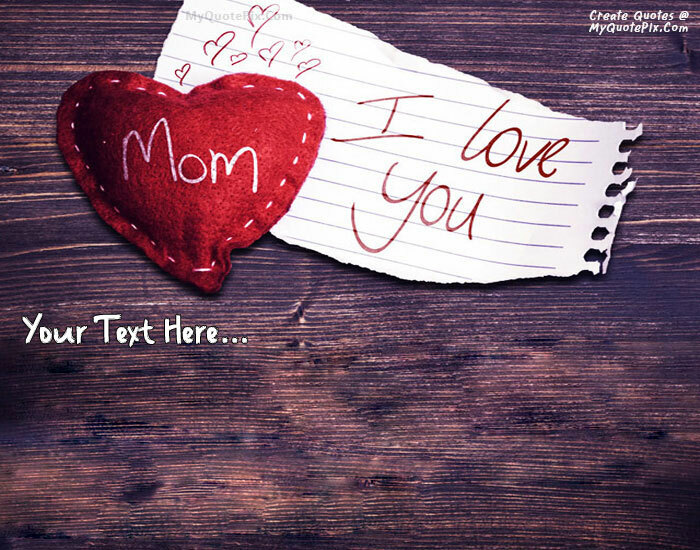 Write quotes, poetry, messages, stories, love letters, aspirations, notes or any other long text on I Love Mom picture from the Wishes category by using this quote design maker. You can share this Wishes quote on your blog and social media. Share this quote design maker with your friends. I remember my mother prayers and they have always followed me. They have clung to me all my life. Hey mom, I just want to say how much wonderful you are. You have shown me your love right from my birth. Happy Mom Day. Mom I love you, Thanks for everything you have given me, or will give me. You will never know how much I love you.